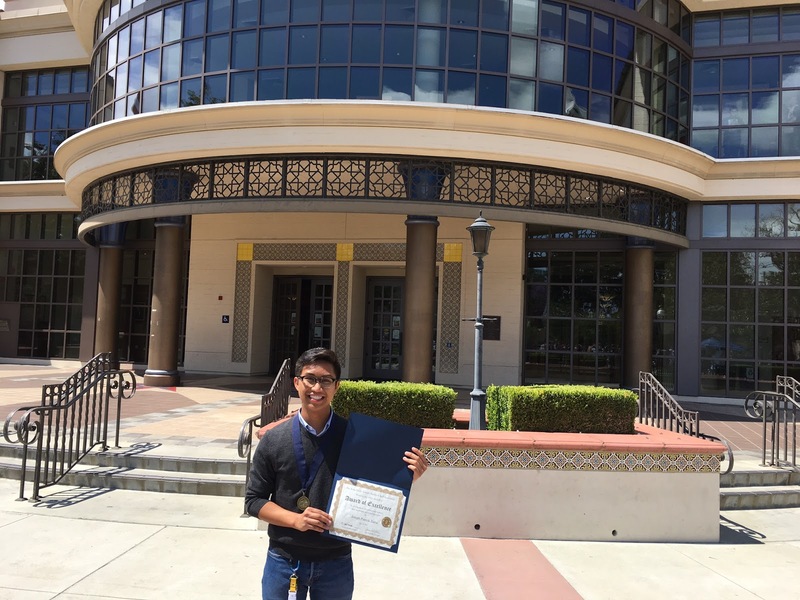 Joseph Dabu was the recipient of the 2017 APIA award for academic excellence and community/campus service. Joseph's high GPA earned him a place on the President's Honor List. After Joseph worked as a staff writer and news editor for the FC Hornet newspaper, his efforts paid off and he will be transferring to USC in fall 2017 as a journalism major. In addition, Joseph helped promote the Growth Mindset initiative on campus by serving as a student ambassador. Students who believe their skills and talents can be strengthened through hard work, strategic actions, and networking have a growth mindset. Joseph was also the secretary of the Alpha Gamma Sigma honors society where he served not only as a board member, but as an active volunteer in Saturday arts and crafts classes for young students at Commonwealth Elementary School. He also participated in many campus events including WorldFest, Kindercaminata, Love Fullerton and the Crittenton Refugee Program.